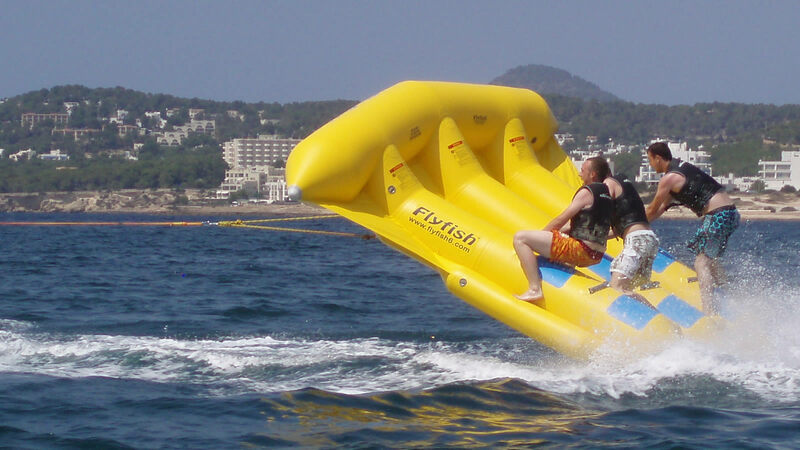 You will fly high in the air across the sea with the most full of intense and popular towable. You will love the Flyfish. It is for up to 6 people. High sensation bouncing waves and going up in the air. High speed through San Antonio bay at up to 35 knotts. Jumping, flying and having fun in the waves.